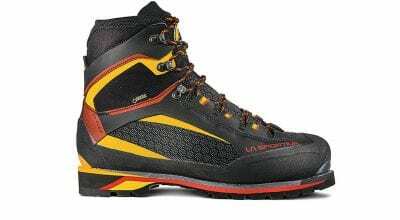 Only two months ago I reviewed the Scarpa Rebel Ultra GTX, a crazy good ice and mixed boot designed with a dose of input from Ueli Steck. 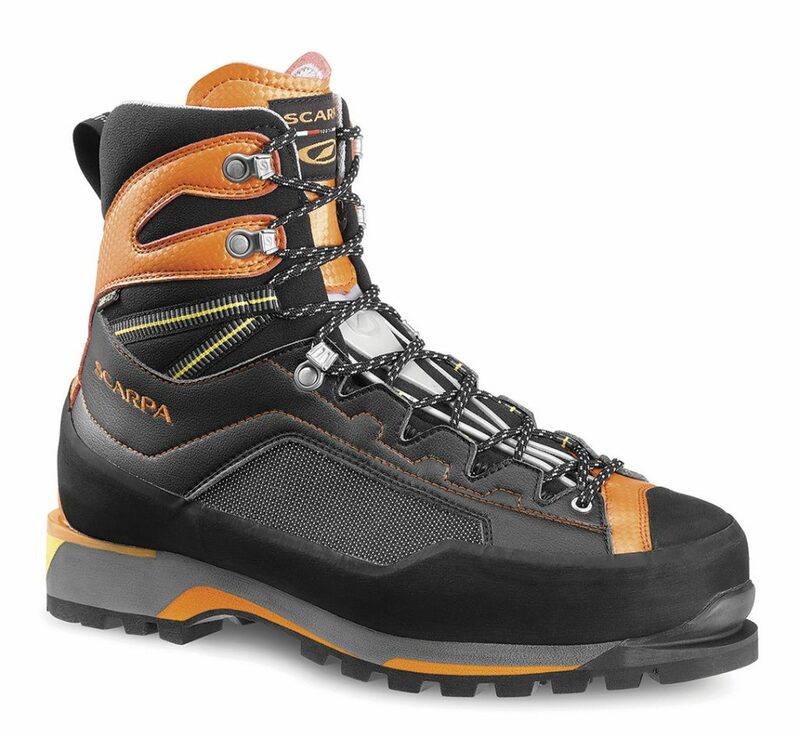 At the time, the Rebel Ultra was the lightest ice and alpine boot on Earth. What’s different, besides being an ounce per boot lighter? The Pro costs $40 less, doesn’t have the integrated stretch gaiter, and is said to be stiffer, more supportive. I doubt anyone complains about the Rebel Ultra’s design. Its novel, tongue-less configuration, which is actually tongueless, imparts a sock-like fit, and the conventional ankle cuff is what you are used to. 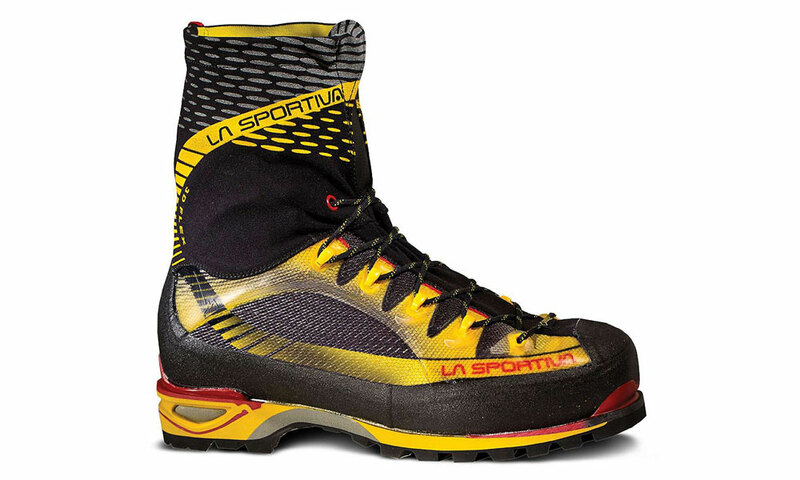 On trails, scree and snowy approaches, the Rebel Ultra feels like a nice, light, hiking boot. On technical climbing—rock and ice—it is the most nimble boot you can wear, to the point that it doesn’t much feel like a boot at all. Some of my early rock shoes were actually clunkier. But you won’t buy the boot for hiking, or rock climbing. This thing is for ice and mixed, new and old school. I wore it on sustained pillar routes and overhanging drytooling gimmicks. It performed great at all times. Provided you like less support than you get from a plastic or double boot. The single-boot Rebel Pro is stiff from heel to toe, but quite soft through the upper and ankle. Unless your technique is great or your legs and feet are unusually fit, you’ll probably get a nice foot and leg pump the first few times you are on steep ice. On less than steep ice, the upper flexibility is nice, letting you get your crampons flat, old-school style. Drytooling: The Rebel Pro isn’t a fruitboot, but as close to one as you can get in a conventional boot. It feels secure and agile. I thought warmth was the same as that of the Rebel Ultra. Imagine wearing a single boot with an extra thick sock, and you have an idea. Some people will call the Ultra and Pro winter boots, but they are cold-weather fit only if you are moving. When you are standing still, in snow belaying, your feet will probably get cold when temps are in the lower teens. Is the Rebel Pro a sign of the times? Certainly. Speedsters such as Ueli Steck are smashing times in the mountains, and requiring super-light performance footwear. It’s no surprise that he had a hand in the Rebel Pro’s design. ABOUT THE RATING: I gave the Rebel Pro four stars because five stars would make it perfect, and it’s not quite there. I’d like to see it a bit warmer and sporting a built-in gaiter, if only in the form of an ankle seal. • World’s lightest ice and alpine boot. • Three-season boot, but usable in winter if you are moving. • Tongueless design fits similar to a sock.